Day-trip to Guadalajara during your city journey to Madrid? : Torija castle with an ethnographic museum about the Alcarria area. : City east of Madrid with some churches, the Palacio del Infantado and the Panteón de la Duquesa de Sevillano. : Beautiful historic town. A must for the true lover of culture. : Beautiful small medieval town on a rock with a castle and several churches (Santa Maria del Rey). : In the southeast of the province with many canyons and ravines. Soon Guadalajara webcam, blogs, travelreports, spanish recipes and movie locations. 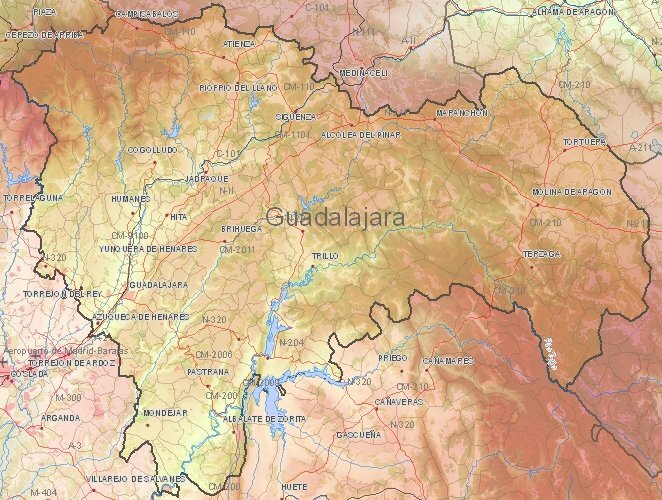 1) Current weather in Guadalajara (temperature, precipitation).